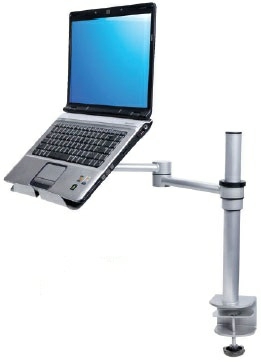 Our wide range of laptop stands will help laptop users to work more comfortably and more efficiently. 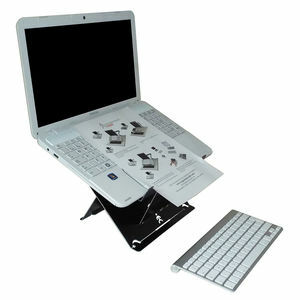 Combine one of our ergonomic laptop stands below with a seperate ergonomic mouse, keyboard and one of our laptop carry cases and the risk of pain and musculoskeletal injuries occurring will be significantly reduced. 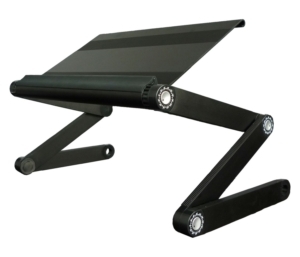 Aero Laptop Stand - 16-17"
If you regularly use a laptop, you will most likely be sat with poor posture. Laptop use creates upper body tension by forcing a hunched posture, which can lead to long-term musculoskeletal injuries. 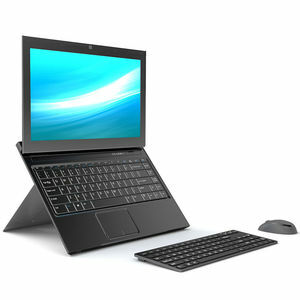 Using a laptop for long-periods also forces your eyes to be too close to the screen and encourages a downward viewing angle. This places strain on the eyes, neck, shoulders and back, leading to long-term musculoskeletal injuries. 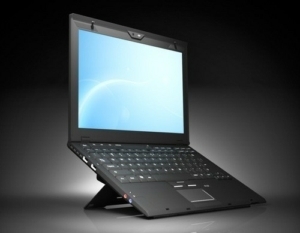 Using a laptop stand (laptop riser) encourages an upright posture by raising the laptop to the correct height and angle for the user. 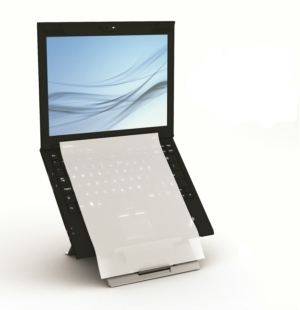 Laptop stands are a simple but extremely effective solution at reducing back pain and upper limb disorders. 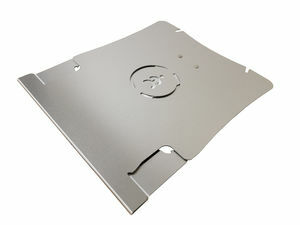 We have laptop stands designed to fit most laptop sizes and models including notebooks. 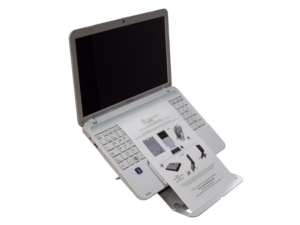 These are angle adjustable to deliver a laptop height suitable for any user. 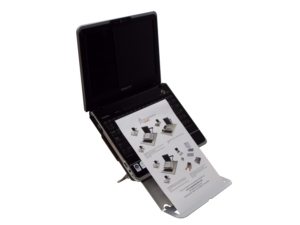 Several of our laptop stands such as the U Top Pro have a built-in document holder which maintains an upright posture even when referencing from paperwork. 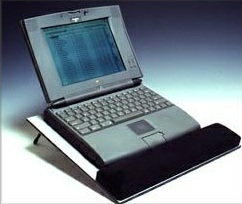 This is more economic than purchasing a seperate document holder and also utilises desk space. 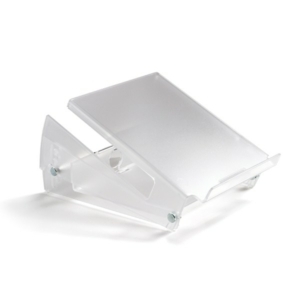 We have many portable laptop stands which are lightweight and fold-able, making them ideal for portable workers or hot-desk users. 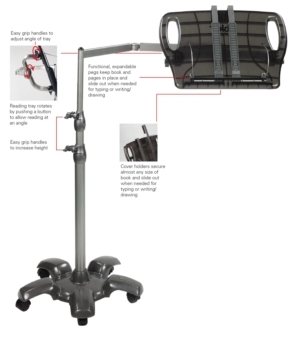 For fixed desk workers we have laptop stands such as the Ergo T340which encourage a constant upright posture every day of the week. 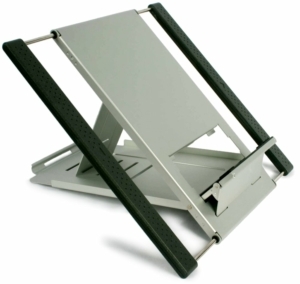 Most of the laptop stands in our extensive range are lightweight, making them easy to carry without causing strain. 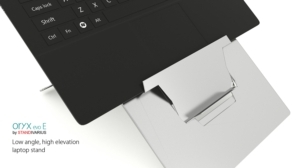 They are also simple to unfold and setup in seconds for the on-the-go worker. 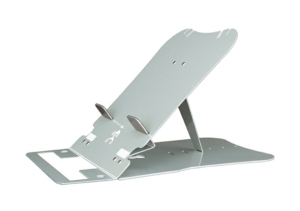 What else will I need for using my laptop stand? 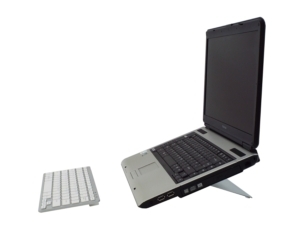 For a completely ergonomic laptop solution, laptop stands require the use of a seperate keyboard and mouse. 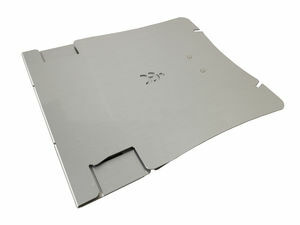 Portable workers should also consider one of our laptop bags to reduce the strain of carrying the laptop. 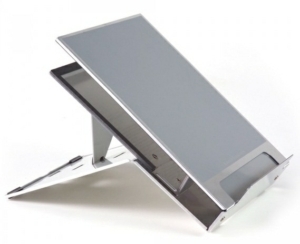 Order one of our laptop stands today!